British runners were out in force worldwide with qualifying standards for the World Indoors and the World Half Marathon Champs achieved. Chris O’Hare lowered his own Scottish record to win the 1500m at the New Balance Grand Prix in Boston, while a host of British athletes achieved the qualifying standards for the World Indoors. You can catch up on all the action with the race report here. 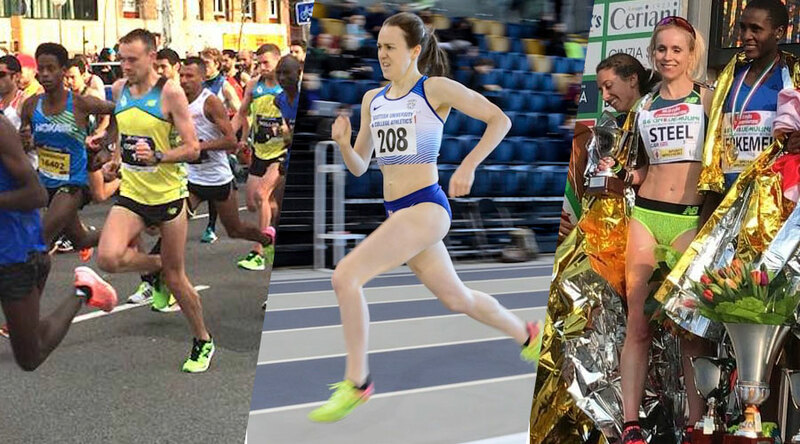 Elsewhere, on the streets of Barcelona Ben Connor and Luke Traynor ran massive half-marathon personal bests as seven British runners hit the qualifying mark for the World Half Marathon Championships in Valencia. Read all the action here. Callum Hawkins clocked a 29:03 personal best to win the Schoorl 10km in Holland on Sunday morning, before adding his own 13-mile run that evening to keep the mileage up as he looks ahead to The Big Half next month and Commonwealth Games in April. • Race & win Schoorl 10km at lunch. Tonbridge’s Henry Pearce won the Bramley 10 in a time of 49:54, with Aldershot’s Lily Partridge the first woman home in 55:43. Partridge, who recently set a course record at the Seville Half Marathon, has her sights on April’s London Marathon but first, it’s The Big Half next month. Southampton’s Alex Wall-Clarke and Luton AC’s Rosie Keane won the 20-mile version of the Bramley race in 1:54:23 and 2:01:59 respectively. 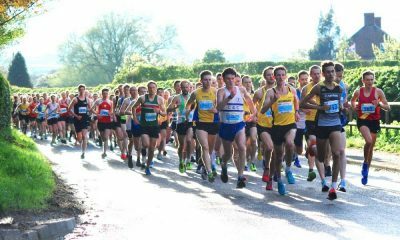 Aaron Scott continued his buildup to the London Marathon with a four-minute victory at the St Valentines 30k in Stamford. 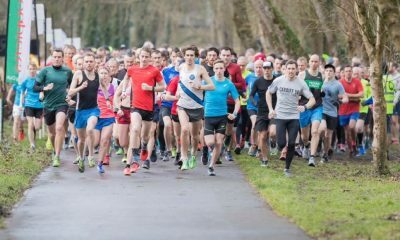 The 2:17 marathoner, who spoke to Fast Running last week about his training and goals for London, was taking part in the race as a training session (10k marathon pace, 5k easy, 10k marathon pace and 5k easy) and still clocked 1:40:47 over the 30k course. Blackburn Harries Rachel Wood won the women’s title in 2:04:08. Commonwealth Games bound Andrew Davies battled the tough conditions to win the Nick Beer 10k in time of 32:36, finishing over a minute ahead of Simon Cole in second. The race that also incorporates the Welsh 10k road championships, saw Bronwen Jenkinson taking the women’s title in 38:56. 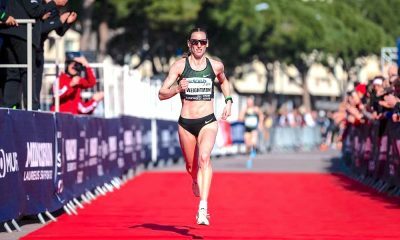 Gemma Steel finished sixth in a time of 19:07 at the 86th edition of the Cinque Mulini in San Vittore Olona, Italy. The IAAF cross country permit meeting was won by Ethiopia’s Letesenbet Gidey in 18:14, with Jacob Kiplimo of Uganda winning the men’s race. Jay Rossiter pipped Joe Wilkinson to the win at Birmingham and District Cross Country League on Saturday, with both men posting 28:42. Stockport’s Jack Morris took the men’s victory at the Manchester Area Cross Country League, with Gemma Connolly the women’s win. At the Kent Cross Country League, Abel Tsegay won the men’s race with Nicole Taylor taking the women’s win. 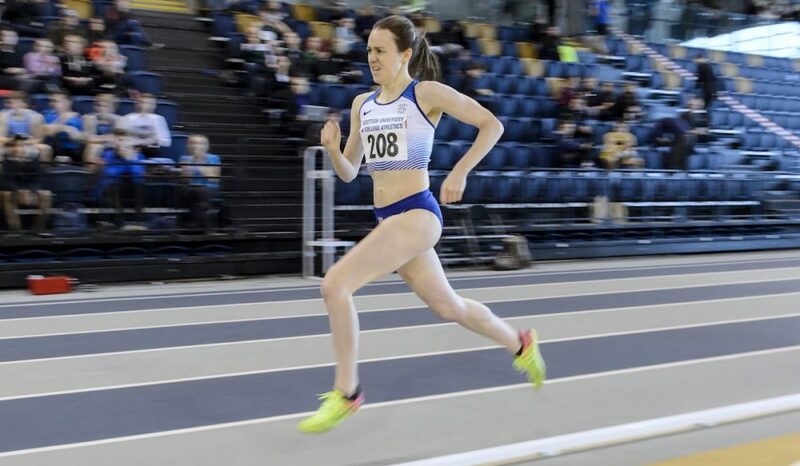 Laura Muir set a new a Scottish native 1500m indoor record at the Scottish University Indoor Championships in Glasgow on Saturday. Muir posted a time of 4:05.37 to win the 1500m title bettering Susan Scott’s 2006 best in the process. Katie Snowden achieved the 1500m qualifying standard for the World Indoor Champs with a personal best 4:10.09 run at the Ifam Indoor meet in Ghent, Belgium, while Jemma Reekie posted 4:20.51 in the same heat. Jonathan Hopkins ran a PB in the men’s 3000m. Hopkins who will compete in the steeplechase at the Commonwealth Games clocked 8:09.42 to finish third with Jonathan Tobin and Ryan Driscoll clocking 8:13.89 and 8:20.82 in the same event. Nick Goolab finished second with a time of 7:54.41 in the second 3000m event. Adam Clarke finished fourth in 7:55.93, with Paulos Surafel posting 8:95.50, Robbie Rose-Farnham 8:13.89 and Ieuan Thomas 8:20.87. In a strong men’s 1500m field, Elliot Giles finished fourth in the second of two races with 3:44.18, while Tom Marshall who features in the ‘class of 2018‘, seventh in 3:54.50. Spencer Thomas and Euan Campbell posted 3:49.01 and 3:54.94 in the first race. Zoey Clark acheived a season’s best 53.28 to win the second 400m race, while Adelle Tracey posted 2:04.90 over 800m. In Paris, Melissa Courtney ran a time of 8:57.33 to win the 3000m at the val d’Oise Women’s meeting in Eaubonne in the suburbs of the French city on Friday. Elsewhere, Shelayna Oskan-Clarke finished third in 800m with 2:04.06, while 21-year-old Finette Agyapong second in 200m with 23.90. On Thursday at the Madrid leg of the IAAF World Indoor Tour Rosie Clark took nearly four seconds off her 3000m personal best in her season opener. 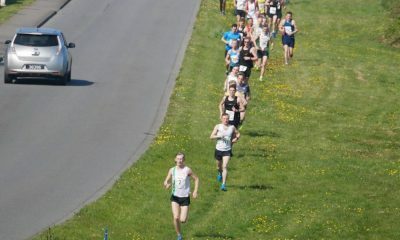 Clarke crossed the line in 8:47.30 to finish fourth in the race won by Sweden’s Meraf Bahta. Eilish McColgan recorded an indoor PB over 1500m finishing third in 4:08.07 with Ethiopia’s Genzebe Dibaba taking the victory in 4:02.43. Richard Kilty followed up a 6.66 in 60m heats to clock 6.64 in the final finishing second, whilst Elliot Giles posted 1:47.95 in the men’s 800m. Seren Bundy-Davies finished sixth in the 400m, crossing the line in 54.49, while Anyika Onuora clocked 53.33 in heat two, placing fourth overall after both heats. On Wednesday at the meeting de Paris, Dina Asher-Smith ran two season’s bests with 7.21 and 7.20 in the 60m finishinh fifth in the final. Ojie Edoburun finished second in the men’s 60m with a 6.63. Also on Wednesday at the Newham & Essex Beagles 60m Sprint Series, CJ Ujah first ran 6.61 in the heats before a persona best 6.53 to win the final. Imani Lansiquot, who features in the ‘class of 2018‘ also achieved PBs in the women’s 60m event with 7.29 before bettering it again with 7.26.